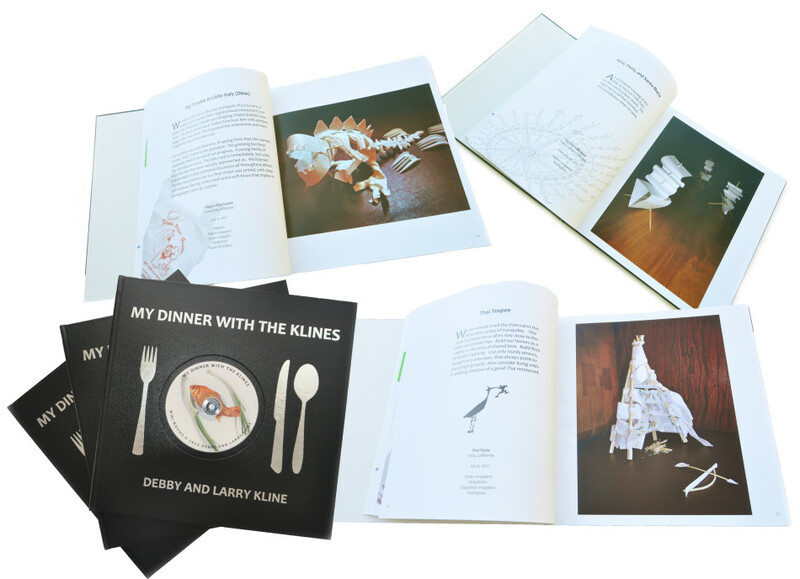 MY DINNER WITH THE KLINES book and DVD set debuted in a solo show at La Jolla Athenaeum Music and Arts Library. Only 100 were made, and 2 of these limited edition artist created books have already been purchased by libraries. This 105 page hardcover book is a whopping 12" x 12" and also includes a DVD of 13 mini movies that we created while dining out at restaurants. Get them before they’re gone. Price: $195 (plus tax and shipping). Click here for full project description.